The Faculty of Sacred Theology is as old as the University itself, since the primary purpose of the Dominican Fathers in founding this institution of learning was to train from among the young men who flocked to their lecture rooms worthy ministers of the altar. The University of Santo Tomas (UST) was founded on April 28, 1611 by the superiors of the Dominican Province of the Holy Rosary, Frs. Baltasar Fort, Francisco Minayo, and Bernardo de Sta. Catalina, upon instructions from then Archbishop of Manila Miguel de Benavides, O.P. Originally located in Intramuros, the school was established to train young men for the priesthood. It was given the name “Colegio Seminario de Santo Tomas de Nuestra Señora del Rosario.” It was authorized to grant academic degrees in Theology, Philosophy, and Arts in 1624. The Faculty of Sacred Theology is an integral part of the University of Santo Tomas. Other specialized Institutes may be established under the jurisdiction of the Dean. To deepen the knowledge of Christian revelation and of matters connected with it: to enunciate systematically the truth contained therein; to consider, in the light of revelation, the problems of the times, presenting them in a manner adapted to the local culture. The Faculty of Sacred Theology shall cultivate and promote its own disciplines through scientific research, by establishing or availing itself of specialized research centers, by publishing scien¬tific journals and collections, and by organizing and/or participating in scientific workshops or conferences. The Faculty of Sacred Theology is entrusted by the Church with “the task of preparing with special care students for the priestly ministry, for teaching the sacred sciences, and for the more arduous tasks of the apostolate (cf. Apostolic Constitution “Sapientia Christiana,” Foreword, III, p. 7). Furthermore, it is enjoined by the Church “to promote the continuing permanent education of the ministers of the Church” (cf. Ibid., art. 3, #2). The Faculty of Sacred Theology is closely connected with the mission of evangelization of the Church. Hence, it has to collaborate effectively in the work of evangelization, in close communion with the Hierarchy of the Universal as well as of the local Church, in its pastoral, doctrinal, ecumenical and missionary undertakings. The work of evangelization is primarily directed to the understanding, defense and diffusion of faith within the whole context of culture and human society (cf. Apostolic Constitution “Sapientia Christiana,” and Norms of Application, art. 3). As the primary component of the University of Santo Tomas, the Catholic University of the Philippines, the Faculty of Sacred Theology shares in the University’s responsibility to be an educative community permeated with the spirit of freedom and charity (Declaration on Christian Education Gravissimum Educationis, # 8). In particular, the Faculty of Sacred Theology strives to become, in word and witness, a fraternal Christian community, nourished by prayer and the celebration of the Eucharist. The specific purpose of the Faculty of Sacred Theology is the research on and the teaching of the truths of salvation revealed by God, taught by the Catholic Church, and lived, in union with the universal Church, by the Christians in Asia, particularly the Philippines. 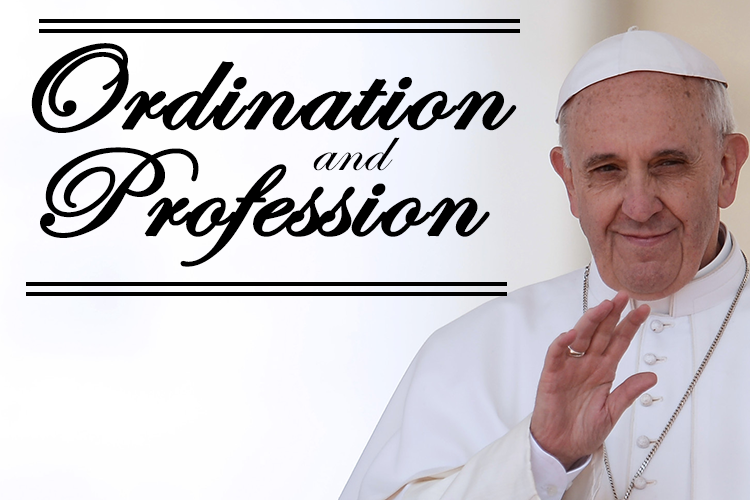 Its function is the formation of the clergy, the religious, and the laity at the level required for the certification of academic degrees conferred under the authority of the Holy See. A main objective of the Faculty is its continued close collaboration with the Hierarchy of the Church, particularly with regards to the scientific analysis of the issues and problems of the times and their theological discernment from Christian faith, directed to integral Christian praxis.